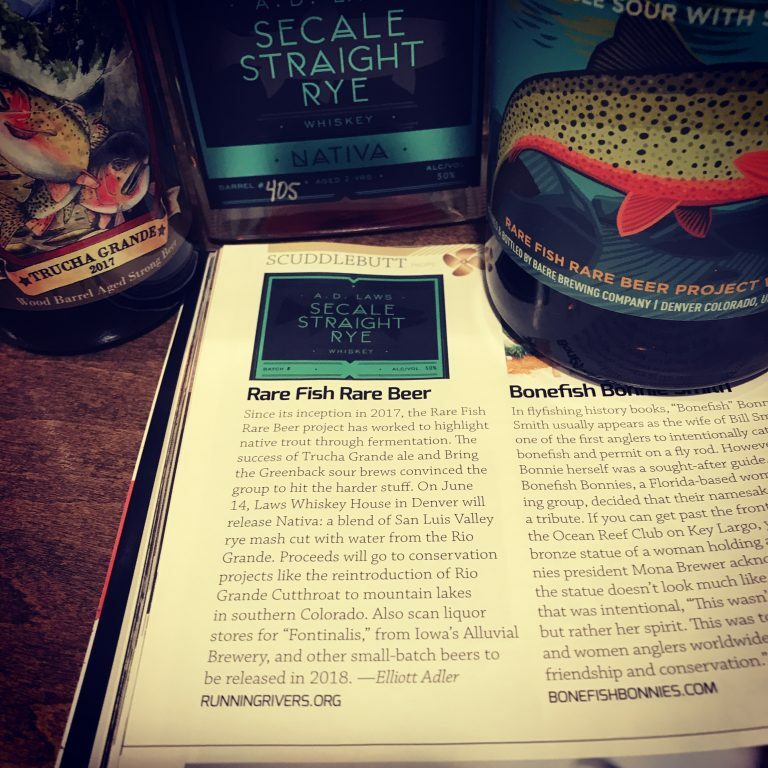 The goal of the Rare Fish Rare Beer Project is to partner with conservation-minded breweries to develop innovative, highly local, limited-release craft beers that focus on native fish within their home watersheds. With these rare beers, we seek to educate craft beer drinkers about the diverse challenges facing these native fish species while simultaneously raising money for projects that benefit their preservation. The Trucha Grande story begins with high altitude snow flakes tagging powder faces and ends with the finest barley grown locally in the San Luis Valley. In the middle, there dwells a magnificent fish who has called the Rio Grande River home for eons. “Trucha Grande” is a reflection of the Rio Grande, both as a river in its natural wonder and also as a life-source feeding and sustaining our way of life. Through the collaborative efforts of Three Barrel Brewing Company, Colorado Malting Company, Laws Whiskey House, and Running Rivers, Trucha Grande was created to support the Rio Grande Cutthroat and to tell a real Colorado story. This magnificent fish resides in only our most pristine mountain lakes and streams. Hanging on to just 10% of its historic habitat, this treasure should be cherished and protected by all. This limited-release table sour celebrates the rebirth of a rare Colorado native, the Greenback cutthroat trout. Until recently, the true Greenback could only be found in a single watershed, Bear Creek outside of Colorado Springs, CO. However, aggressive recovery efforts are currently underway to put our state fish back into its native waters within the headwaters of the South Platte. Lift your glass, and toast the hard work being done to Bring the Greenback! This beer was quick soured with Baere Brewing Company’s house lactobacillus culture and fermented in stainless with a mixed culture of yeast and bacteria. It was aged on simcoe hops and emergent green spruce tips foraged from the banks of Bear Creek, outside of Colorado Springs, CO. The story behind Bring the Greenback was recently featured on an awesome PBS documentary on the South Platte Watershed!!! This proper Rye whiskey was bottled to celebrate the Centennial state’s only native trout species, the cutthroat trout. Laws Whiskey House and Running Rivers, in support of our fellow fishy Coloradans, have teamed up to bring you this limited edition offering of Secale Nativa. Made exclusively with local San Luis Valley grain, pristine Colorado water and plenty of artisan pride, a portion of the proceeds from this special release funds conservation projects for our native trout. Native whiskey helping native fish. Cheers! Those of you who know me might be surprised to see that we are involved in making a beer that celebrates brook trout… Ah, but this beer doesn’t celebrate brook trout in Colorado, it celebrates brook trout in their native range in the Driftless Region of Northeastern Iowa! “Nestled in depths of the Drfitless Region of Northeastern Iowas are dozens of spring-fed streams that trout have called home for centuries. You read that right, native trout in Iowa! The Colorado River cutthroat trout has been called one of the most beautiful fish in North America. While the Colorado River cutty once occupied most cool water habitats of the Colorado River watersheds in Colorado and a few neighboring Western states, currently, this native fish now only occupies a fraction of its historic range, primarily living in isolated, small headwater streams. Casey Brewing and Blending has hit this one out of the park with its honey ale aged in oak barrels with peaches and nectarines. Do yourself a favor and find one of these beers! The Trucha Grande story continues with Trucha 2, an incredibly unique barrel aged smoked blackberry smoked porter. In making this beer, fresh blackberries were cold smoked along with Colorado Malting Company smoked malts, the aged in freshly dumped Laws Whiskey Barrels, to create this smooth, slightly sweet dark porter. Enjoy the low bitterness, dark dried fruit flavors, and the hint of campfire smoke aroma. As with the original Trucha Grande, proceeds from this beer will be put to work on-the-ground to benefit the San Luis Valley native Rio Grande cutthroat trout. We have several new beers in the works, in Colorado and beyond. Stay tuned. 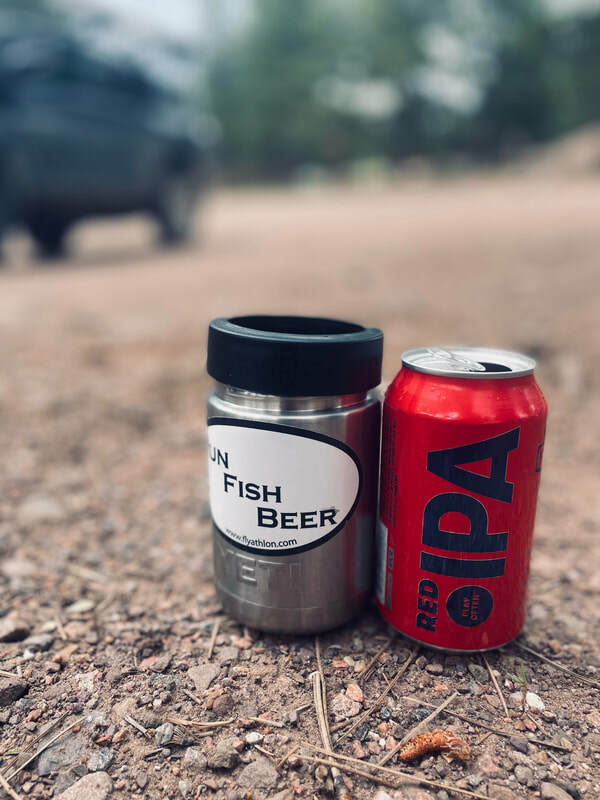 In the meantime, if you are a conservation-minded brewery / distillery who is interested in making a difference for the native fish in your watershed, please contact me ASAP.